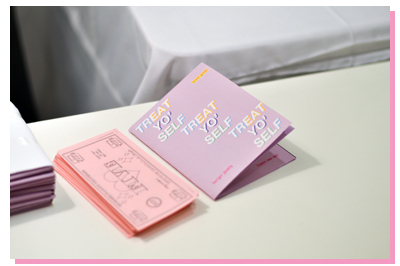 Last month, on behalf of Burger Pawty, I had the honour of hosting an event for International Women's Day called TREAT YO' SELF. 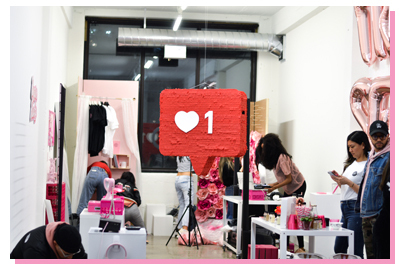 This event was an intimate self-love exhibit with a goal is to showcase the city’s local #girlbosses, while celebrating being empowered, bright and (simply put) badass women! 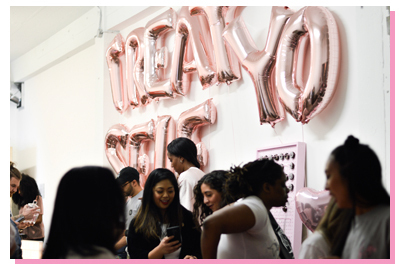 TYS was set up like a fair (the best way I could describe it to people), with different stations set up throughout the venue for guests to explore. 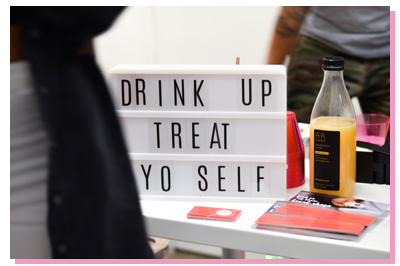 There was music, interactive self-love exercises, some drinks (why not? 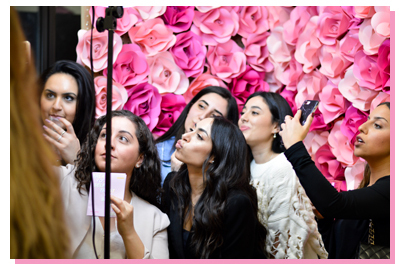 ), a selfie station (!!! 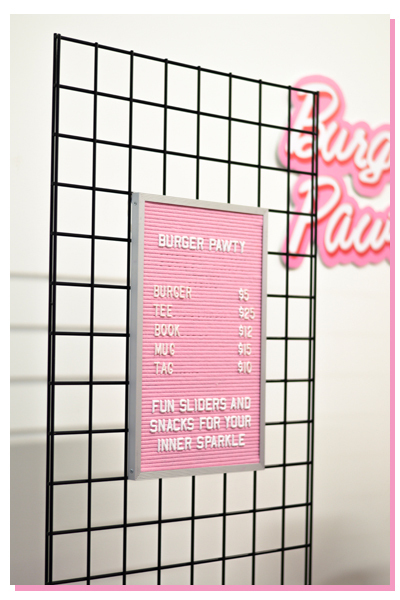 ), a pop up shop for new BP merch, and of course, BURGERS! 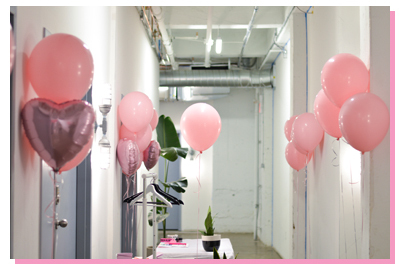 To sweeten the deal, a portion of the proceeds went towards Dress For Success Toronto: an amazing non-profit organization geared towards helping women work towards self-sufficiency. Anyway, I don't want to spoil it for you, so read more for more info + some really cool pics, taken by the one and only JC! 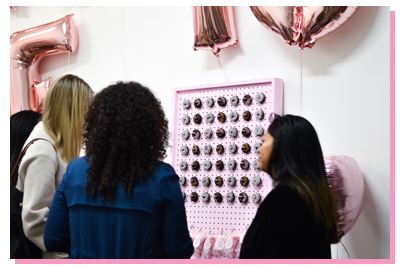 Guests were able to pick up their event maps here (sponsored by Liv Digital) + if anyone brought an item to donate to DFS Toronto, he/she was eligible for a $5 voucher to be used to purchase food, a drink or merch at the event - it's a win win, baby! 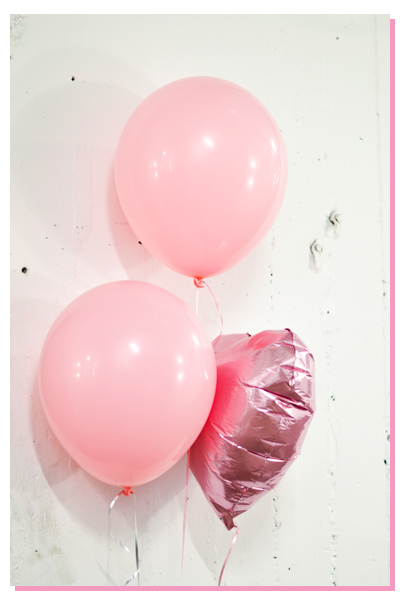 These pretty pink balloons + others were sponsored by the babe, Balloon Bar! 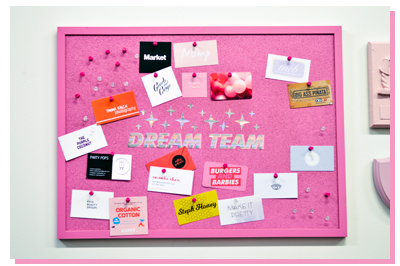 Guests were encouraged to add their business card to the wall - ultimately creating the best #girlgang out there (IMHO). "Take one. Keep one. Pass it on." 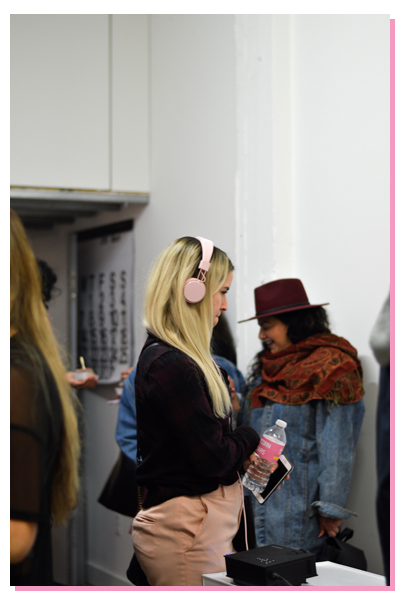 Andrea listening in on the video installation by Burger Pawty x The E Project. 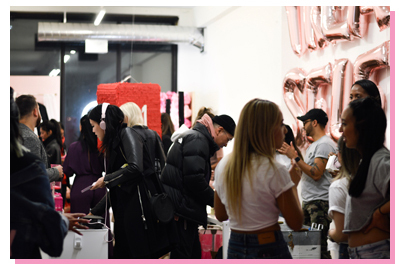 Guests were able to pick up the headphones to listen and tune into a video for a few local boss babes explaining what they loved most about being women. 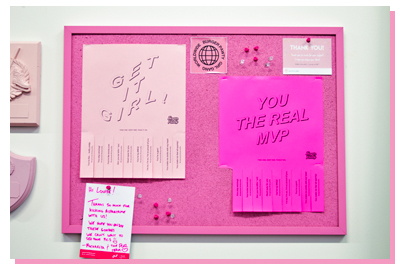 After all that, you got to write down your reason on a post it note and stick it on the wall. 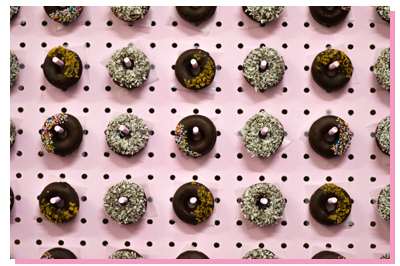 I spy with my little eye some mini paleo donuts from The Purple Coconut + some mini pufs by Fancy Pufs! 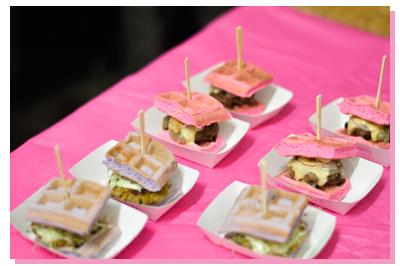 Some Barbie Burgers + Dream Burgers on deck, of courrrrrrrrrrse! 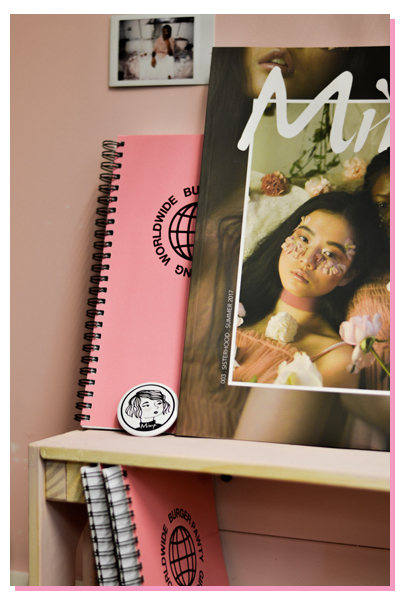 The sweeties over at Mimp Mag were kind enough to curate a cute space for our merch + some of their goodies, too! See below for more pics! 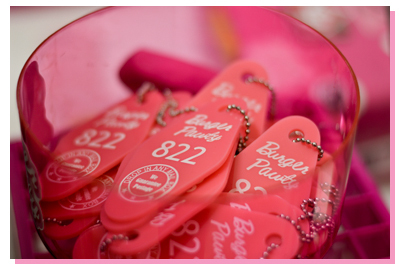 BP key tags were also for sale! 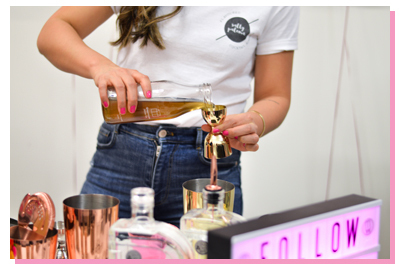 We also had some fun sips to liven up the pawty! Shout out to Amanda + Justin from Salty Paloma for being the best bartenders a girl could ask for! 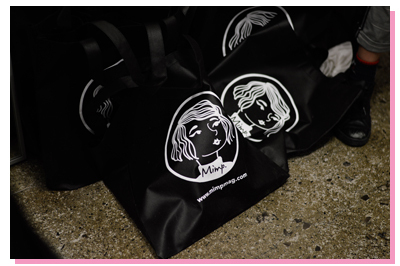 Special thanks to NUTRL Vodka + Greenhouse Juice for sponsoring the event, as well! 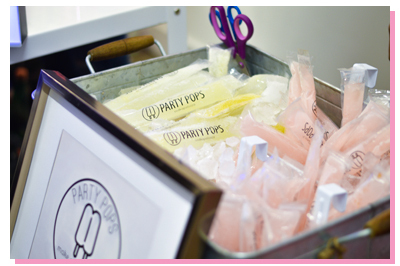 We also cannnnottttt forget the ladies over at Party Pops for supplying these super delicious alcoholic freezies. Spoiler alert: THEY WERE A HIT! 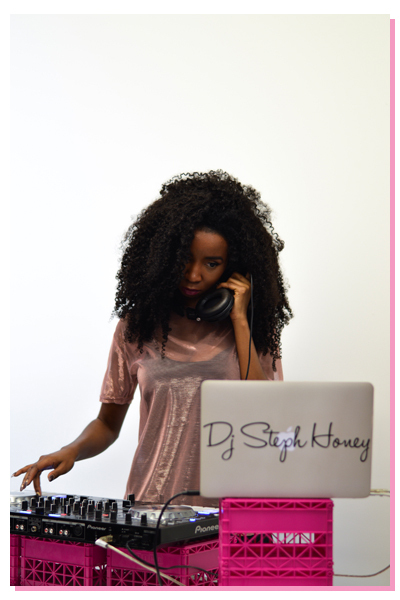 I hope you enjoyed this lil' recap of this lil' big event I poured my heart into. All I ever wanted was to throw a group of girls (and guys!) together to celebrate the wonder that is the woman. 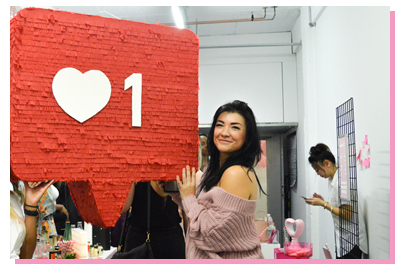 Self love is often overlooked, and this event was meant to inspire and spark that passion inside all of us to do just that. It was a dream come true to put something together like this, and by the skin of my teeth, I was able to pull it all off! 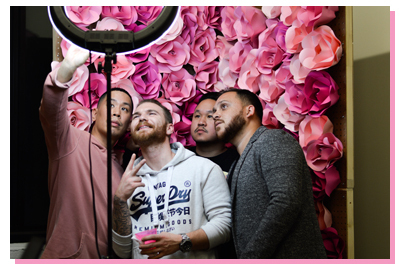 Thanks, of course, to my bf + friends for pulling through, as usual - y'all are the real MVPs. 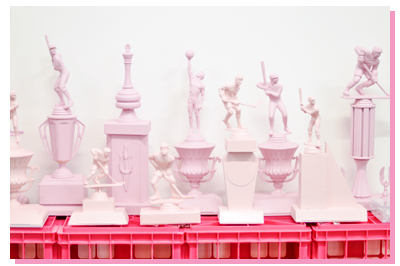 Final thank you goes out to Goods & Cargo for letting me use their dope a$$ space!